I've had one for awhile now. It's already to go but they should have named it the Habrick. It is quite heavy after adding enough weight in the nose to get the correct CG. I know they fly well despite the weight, I've seen it. I was going to slope it but now I'm thinking of adding a nose tube and aerotowing the darn thing. Has anyone done this? It's just too pretty to chuck off a clift and land in the rough recovery area of most of the slopes I fly at. There is a fella that belongs to the Winamac, IN club (?) that has one of these which was aerotowed there. It wasn't there last year. They fly great. I have seen many flying on video. Slope,aerotow, all good but they don't crash well. Is that the 2.6m Habicht? The 2.6m is an awesome plane. It's heavy as you noted and really a sloper but I've towed my a bunch of times. Don't expect to thermal unless you've got huge lift. To be fair, I enjoy snap rolls and spins with it so much I really don't hunt for lift. It's like a light warbird on deadstick to me. 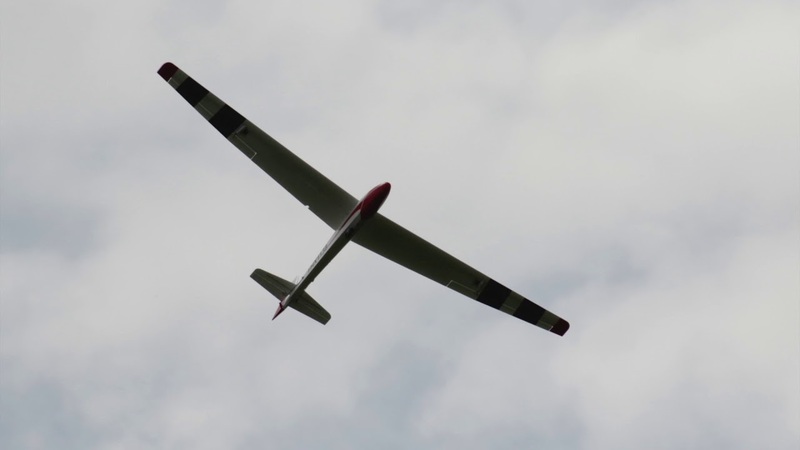 The airframe was designed and sold by Windrider and there are lots of videos of the Winderrider 2.6m sloping including 2 plane formations on the slopes. 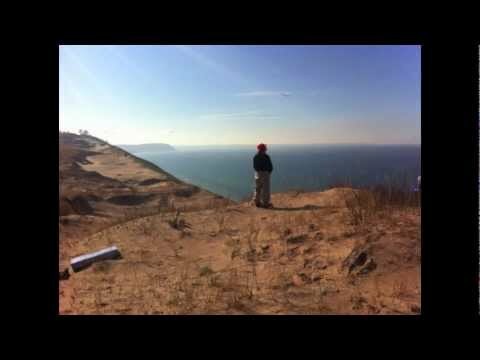 My maiden was at Sleeping Bear dunes with mine and it flew for over an hour each time I flew it there. With 18+ mph winds it's a joy. As for aerotow, it's really nice on the tow line, it will cruise around gently but it still is not going to stay up too long. Don't try to milk you landings. When you get to sport plane altitudes set up and land. It 's going to bleed altitude fast compared to anything else out there that even look like a sailplane. Add the release and enjoy the ride !! Thanks so much for that Joe. I will follow your suggestions to the "T". Also, be sure to read the thread on RCG's about the Windrider 2.6 Habicht. They give good CG info in there. I forget where it is now. It's been several years since I built mine. But it's first flight was a toss off the 500+ ft Sleeping Bear dunes... Before Drones made us get a Federal Permit to fly there. I now have that and we will be going up there in the spring. When landing don't think sailplane... Think dead stick and you'll be good. It will stall but just don't fly it like a Radian. Let it run. Last edited by Joespeeder; 11-08-2018, 09:14 PM. Here's my old video.... The Habicht is towards the end. These shots were from the hour long maiden with 18-24mph winds. Joe thanks for the video I very much enjoyed it and watching the fly brick. Iy flies very well and I will keep in mind it's a dead stick Corsair. Love the flying site. I live near the beach but have yet to find any dunes suitable but I do fly at the Elwood Bluffs in Goleta Ca. on occasion. Our lift there is never much above 15 mph and on the average 10-12. I worry I may have to take a long trip down the clift road to the beach below if I don't have enough for this bird. I do have a second slope inland that has a better recovering area below the launch as the slope is gradual. The Cow motif is wonderful and cracked me up. Choice of music was perfect. You can see the Habicht in this video in a typical landing pattern. Note it flys very nice but you can see it's not going to stay up long once you get to normal sport heights. Sorry don't have any spins or snaps on video. The one tip that I remind myself both sloping and flat field flying is when you turn the nose drops. Let it... If you try to hold altitude too much you'll get into trouble. You can control the amount of drop but don't fight it too much till you're use to the plane. Modelers from several clubs joined together for weekend of aerotow flying and helping others try their first aerotow flights. Last edited by Joespeeder; 11-09-2018, 08:56 PM. I needed that! Beautiful. Many thanks Joe. I'll second that! Nice footage!